Optional software package for the Vista AVS with full-page reporting and exam storage, includes download capability for integration into EMR systems (pdf and csv file formats - USB Interface to PC). For use with SUD-L450VA Vista ABI. 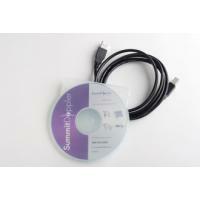 Ultrasound Accessories can be found in our extensive online collection of products from globally recognized and trusted brands, including Summit Doppler. An excellent option to consider is the Software Package for Vista ABI System, Includes PC Software & Interface.